Occasionally we’ll post sounds here that were either part of an experiment or were too small to put out as a full library. 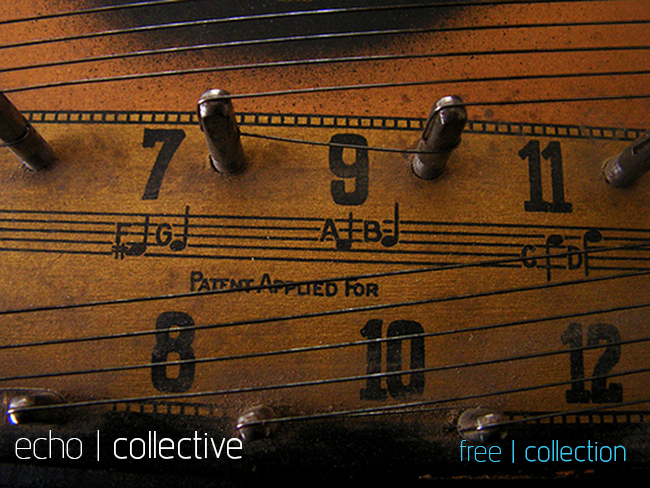 All free collections require Kontakt 5.3 or later to access the instruments – samples are unlocked with soundminer metadata. 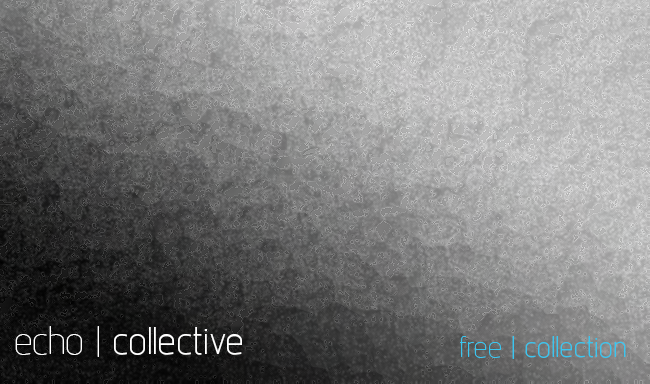 To grab the entire echo | collective free collection just add to cart and enter your email address. The Free Camera is a kontakt instrument and a series of samples that come from some custom recordings of the venerable Canon 7D that we shoot all of our videos with. 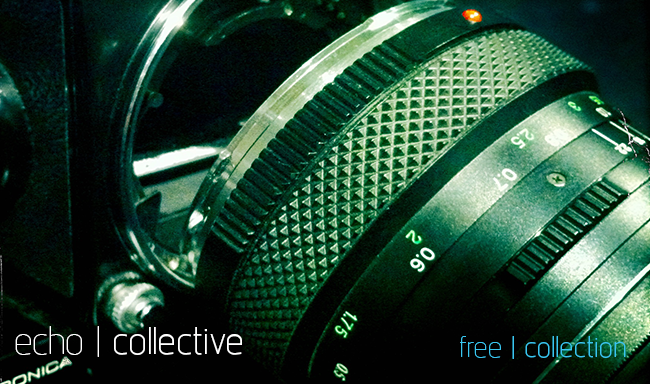 It is excellent for both creating clean, straight camera sounds and as elements for clicky UI type designs. There are also some cool designed shutter snaps that are bigger and more stylized than the flat, clean ones. Malfunktion is a series of recordings from various software synths that we use to create fun glitches. as well as UI beeps and clicks. Its another toolkit of strange sounds that are useful in adding spice to interface sound design. The Kontakt instrument adds a layer of randomness that the user can create interesting movements with by playing the same groups of keys repeatedly. Micro magnetic comes from a pair of magnets that are shaped like eggs and sound like rattlesnakes as the magnetic pull causes them to collide faster and faster. They make a super cool texture for electronic music and other rhythmic compositions. The shrieking dulcimer is an instrument based on the bows, scratches and dissonant impacts of an old dulcimer recorded by Evan Arnett and Justin Shelton. In a way, it’s a mini version of our beloved forgotten zither, and it does similar horror and creepy type musical things. Its is a beautiful piece of creepy art, and we love it. ORION is a fully featured drum set and step sequencer built for Native Instruments Kontak (vers 5.5 or higher)t.
The free version of Orion includes 3 full drum kits and almost all of the functionality of the full version. This includes the dual view sequencer with both step view and grid view, per-note step modulation, integrated verb, delay, dirt, and tape saturation. Upgrade to the full version to get over 800 one shot samples, 17 unique kits, the ability to save and load patterns, and over 60 preset .nki grooves.